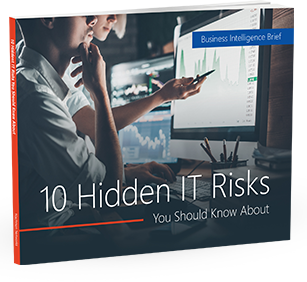 Besides the obvious loss of your hardware and inconvenience that brings, experts cite a much more important concern: the information you have inside, such as saved passwords and sensitive business and personal information. In the wrong hands, a stolen laptop can compromise your personal security and the security of your business. A study by security vendor Symantec cites that in the United States alone, someone’s laptop gets stolen every 53 seconds. And of that number, 97 percent of those are never recovered. Besides the obvious loss of your hardware and the inconvenience that brings, experts cite a much more important concern with stolen laptops: the loss of the information you have inside. Saved passwords, sensitive business and personal information – in the wrong hands, a stolen laptop can compromise your personal security and the security of your business, not to mention the actual loss of the data itself. Symantec and the Ponemon Institute, an independent data, information, and security research firm, pegs the average loss from a stolen business laptop to about a whopping $10 million. This is why it’s paramount that you guard yourself against laptop theft and put measures in place to guard your data in the event that your laptop gets stolen. Fortunately, there are several options you can choose from, such as installing a tracking program on your laptop and regularly backing up your data. You can also use more sophisticated passwords and encryption for your computer, making it harder to crack. Some trace programs also include an option to remotely wipe the data on your laptop in case of theft. Both your laptop and the data on it are important business tools, which is why you might want to consider upgrading your security measures to help prevent losses from theft. Please give us a call and we’ll be happy to provide a blueprint of security policy that works for you.